Up until the day Marc Dworkin underwent cosmetic dentistry at the Millburn, New Jersey, based practice of Dr. Harold Pollack, no one ever commented on his teeth. Now he frequently hears what a beautiful smile he has thanks to the skill and artistic talent of Dr. Harold Pollack. Marc had thought about changing his smile for years but wasn’t yet ready. 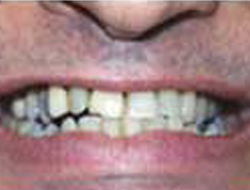 He had a root canal on his upper front tooth at age 13 that later began to darken. The night before the grand opening of his restaurant in 1975, he bit into a frozen Milky Way and the root canal tooth snapped completely off. An emergency temporary procedure was done. In 1982, Marc made his way to Dr. Harold Pollack’s practice. Dr. Harold Pollack replaced his missing tooth with a single-tooth bridge. That bridge remained in Marc’s mouth with only minimal maintenance until it recently chipped. Marc kept trying to convince himself that it looked cool, but he knew that it needed to be fixed. At the same time, outside financing became available in the form of a one-year interest-free credit card. 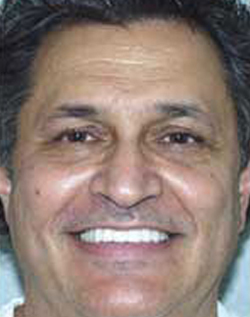 Marc and Dr. Harold Pollack had been thinking about redoing his smile for years. And now everything was in place! Dr. Harold Pollack and his team spent considerable time with Marc designing his new smile prior to any work being done. 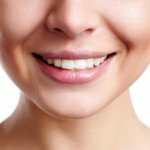 He looked at many Before and After photos and had all his questions and concerns answered well in advance of any cosmetic dentistry treatment. The first step was teeth whitening. Then a combination of crowns, porcelain veneers, and a bridge were designed by Dr. Harold Pollack. A porcelain veneer is a thin, semi-translucent shell bonded to the tooth. It is an ideal solution for those permanently stained, discolored, broken, chipped, or crooked teeth. 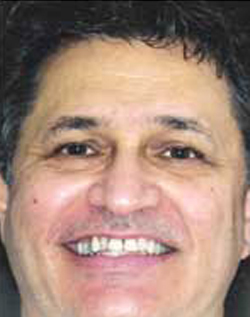 Like many of our Millburn, New Jersey, area patients, Marc is extremely happy with the results. His smile looks beautiful and natural. In only two visits he achieved extreme results without any surgery. That’s the blessing of cosmetic dentistry! Marc always had good self-esteem. “Now it’s 10 levels higher the best gift I ever gave myself!” says Marc. When he shows his friends and family the before and after photos, they realize and praise his results. “I never realized how bad your teeth were!” they say. Because his smile now looks so great and natural, people haven’t really noticed what is different about him, just that he looks great! Marc believes that people judge you by the way you look; the first impression is the most important. A nice smile will influence success at work. Marc has been in the specialty food and catering business since 1975. He opened Nana’s Deli in Livingston, New Jersey (famous for their tuna), back in 1981 and it has grown into a national business. You can view his products online at www.nanasdeli.com. If you are interested in the cosmetic dentistry that Marc received – including teeth whitening, porcelain veneers, and more. Please contact our Millburn, New Jersey, dental practice today.